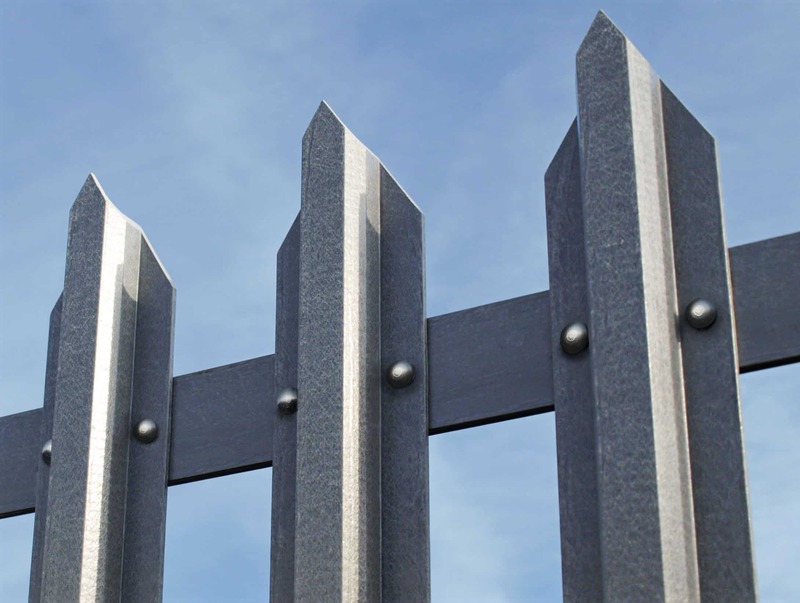 GRP Palisade Fencing- why should you use GRP Fencing over Steel? Glass Reinforced Plastic (GRP) fencing is a high-quality alternative to steel fencing. It has a similar look to steel, however it’s many added benefits make it a perfect choice for areas where metal is not suitable. Engineered Composites now sell GRP Fence Profiles in kit form to create fence panels! What are the benefits of using GRP fences? And where are they mostly used? GRP is also non-magnetic and radio transparent. This also makes them look more appealing over a longer timeframe, as their appearance does not diminish due to harsh conditions as much as some metals. Although lightweight, it maintains its high strength. This makes GRP much easier and cheaper to transport than other materials, and enables easy installation. What does our GRP fencing consist of? Our Top Hat profile acts as a pale with our 51 x 51 x 6.35mm GRP box section serving as the fence rail. The posts can be GRP I Beam or GRP Box sections. All our profiles have been independently tested and passed the BS 1722-12:2016 standard for palisade fence profiles. The benefits GRP Fencing make it an obvious material of choice in some areas. We regularly post articles to help you understand more about the innovative nature of GRP so you can optimise its many benefits long-term. We supply GRP products of the highest quality at competitive prices. We source advanced products from ISO 9001 approved suppliers who are regularly audited both by the quality standards body and our own technical staff. Unit B4, Borders 2 Industrial Park, River Lane, Saltney, Chester, CH4 8RJ.